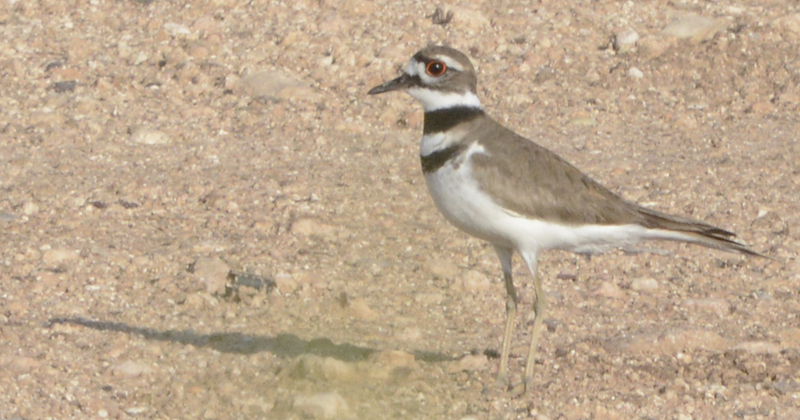 Killdeer (Charadrius vociferous) often nest near humans far from water. Nests can be found on lawns, roadsides, parking lots, and cultivated fields. The killdeer nest is no more than a scrape the male makes on the ground which is acceptable to his female mate as the nest site. The nest may be unlined or lined with pebbles, woodchips, grasses, or assorted debris. Killdeer typically lay four pyriform (pear-shaped) eggs which is characteristic to birds that normally lay four eggs. The eggs are oriented with their pointed ends almost meeting in the center of the nest where they occupy the least amount of space and are more easily covered by a relatively small-bodied brooding parent. 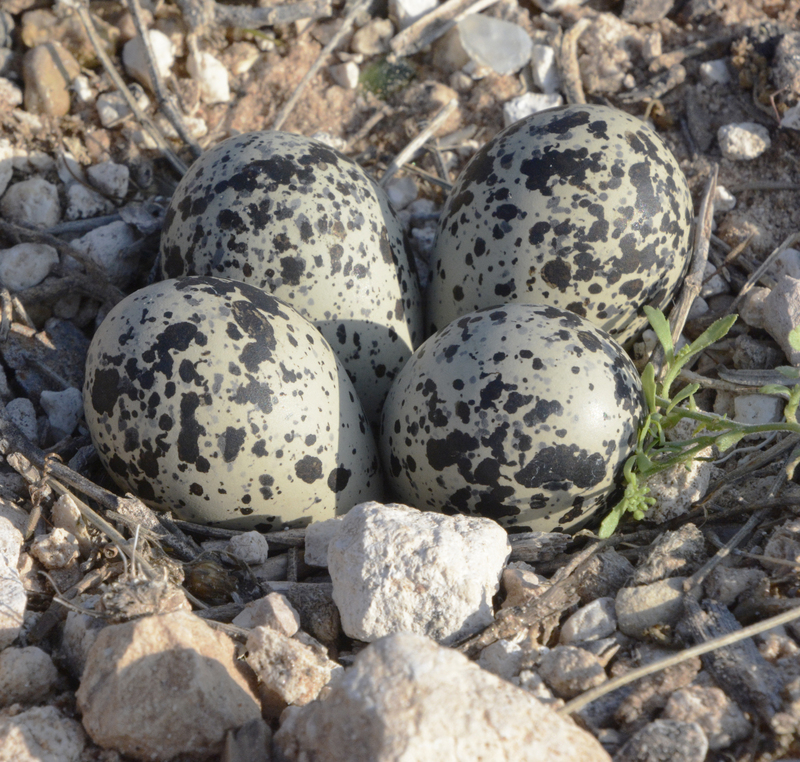 Killdeer eggs are smooth and not glossy, tinted in shades of buff with bold, contrasting black or brown blotches for camouflage. Both sexes incubate the eggs for about 24-26 days. Killdeer chicks are precocious, able to run about a few minutes after emerging from the egg.